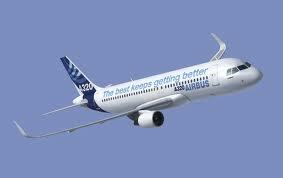 Following up on my last post about the Airbus A320 plane, which landed on the Hudson River, link here. At the recent Paris air show Airbus announced the largest aircraft order ever for 200 of the newest version (the A320neo) of this aircraft by AirAsia. This order eclipses the previous record set only days earlier, which was also for the A320neo, by IndiaGo carrier. while the pilot of the A320 which crashed in the Hudson may be reluctant to compliment this plane the airlines seem to realise what a great aircraft it is. See more here. Boeing have been falling behind Airbus technically and their 737 and 747 models need to be replaced completely at this stage and not just subjected to more updates. It would be better for the industry as a whole if Boeing could compete aggressively across their whole product range as it will keep aircraft prices keen and stop Airbus from getting complacent.